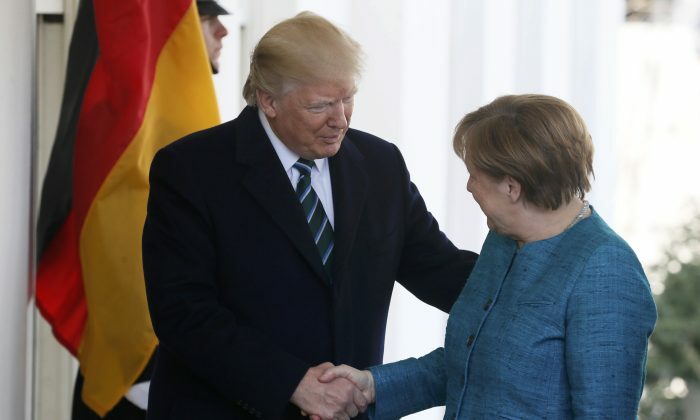 President Donald Trump did, in fact, shake hands with German Chancellor Angela Merkel during her White House trip—but it was before the cameras were rolling. They also shook hands at the podium. “Do you want a handshake?” she asked as photographers took their picture. Trump didn’t respond and then Merkel reacted. Previously, Trump shook the hands of Canadian Prime Minister Justin Trudeau, Japanese leader Shinzo Abe, and he appeared to hold the hand of U.K. Prime Minister Teresa May when she visited the White House. 1. There is the possibility that Trump simply didn’t hear Merkel. 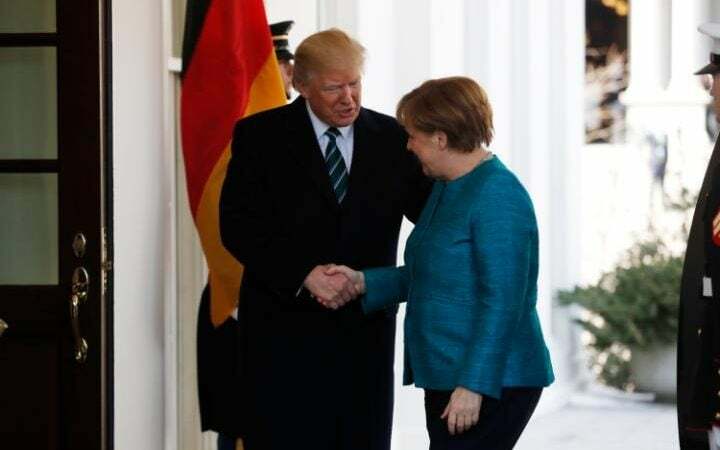 Some reporters or people in the room asked Trump and Merkel for a handshake several times before Merkel asked him directly. Trump, however, avoided eye contact with her. 2. Many of Trump’s supporters don’t trust Merkel. They view her as a “globalist” who sold out her own country by allowing refugees and migrants to flood into Germany. By refusing to shake her hand, an undoubtedly viral moment, Trump can continue to keep his anti-globalist base. In a recent interview with Tucker Carlson, Trump acknowledged that the Democrats will likely never support him, meaning he wants to persist in impressing his voter base. “We’re never gonna get a Democrat vote, they’re not gonna vote for us. If I had the greatest bill in the history of the world, they would not vote for it, because they hate the Republicans—they probably hate me—but they hate the Republicans so badly that they can’t see straight,” the president told the Fox News host this week. While it may have looked “awkward,” his base thought it was great. In the popular pro-Trump sub-Reddit, Trump “publicly clowned her” because she’s a “sell-out elitist globalist traitor.” There were similar declarations made on Twitter. 3. Trump was ignoring the request by reporters and photographers in the White House, not Merkel.